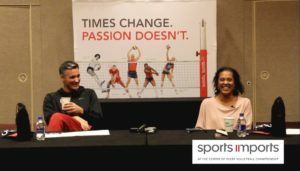 Last month, Sports Imports hosted its first ever Coffee with Coaches event at the AVCA Convention in Minneapolis. 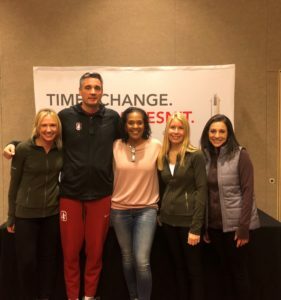 Ten coaches from all over the country representing programs at every level of play won a spot at a roundtable discussion with renowned coaches Kevin Hambly and Salima Rockwell. 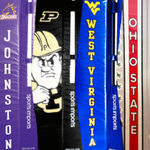 The attending coaches entered a giveaway held prior to the convention to win a seat at the roundtable. 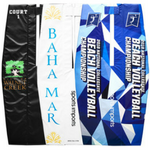 The group of randomly selected winners was only a fraction of the hundreds of entries that were received from coaches who were interested in the event. Intentionally limited to a small number of winners, every coach who won had the opportunity to personally ask a question and engage in the conversation with Coaches Hambly and Rockwell. The attendees all agree it was an event they will always remember, especially since they later learned they had spent the morning with the coach of the 2018 National Champions. That same evening, Coach Hambly and the Stanford Cardinals won the 2018 NCAA National Championship in a hard-fought, 5-set match against Nebraska. 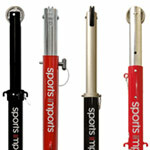 The team at Sports Imports is grateful to all of the coaches who attended the first Coffee with Coaches event. And of course, a sincere thank-you goes to Salima Rockwell and Kevin Hambly for hosting and passing on their knowledge, experience, and support to other coaches. Want the opportunity to learn more from these coaches? 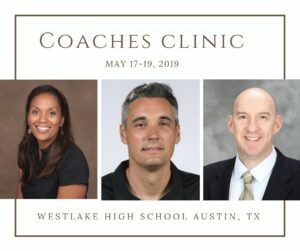 Coach Rockwell and Coach Hambly, along with Coach Hugh McCutcheon of the University of Minnesota, are hosting a coaching clinic May 17-19 In Austin, Texas. Check out their website to learn more and to register!